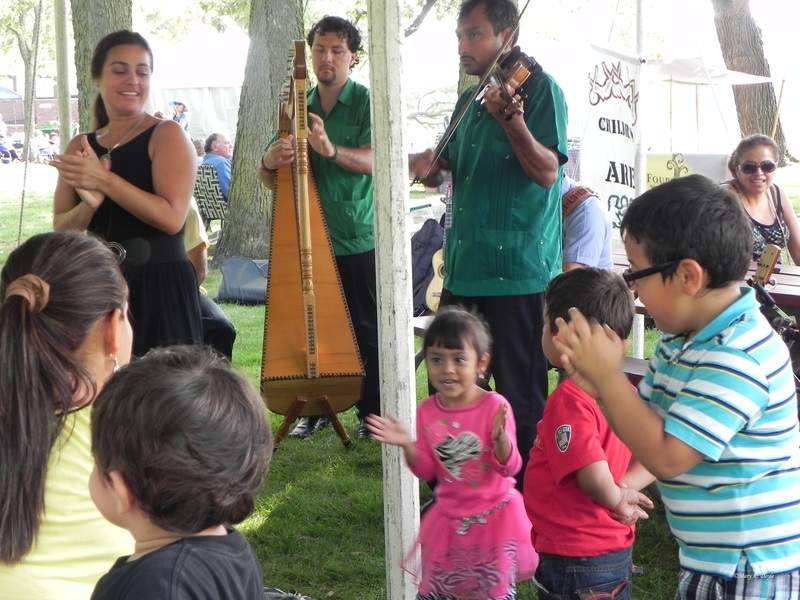 Geneva, Illinois loves festivals and we have some of the best. Swedish Days, Geneva Arts Fair, Festival of the Vine, and the Christmas Walk are the main ones but a lesser known festival marks the end of the summer for me. 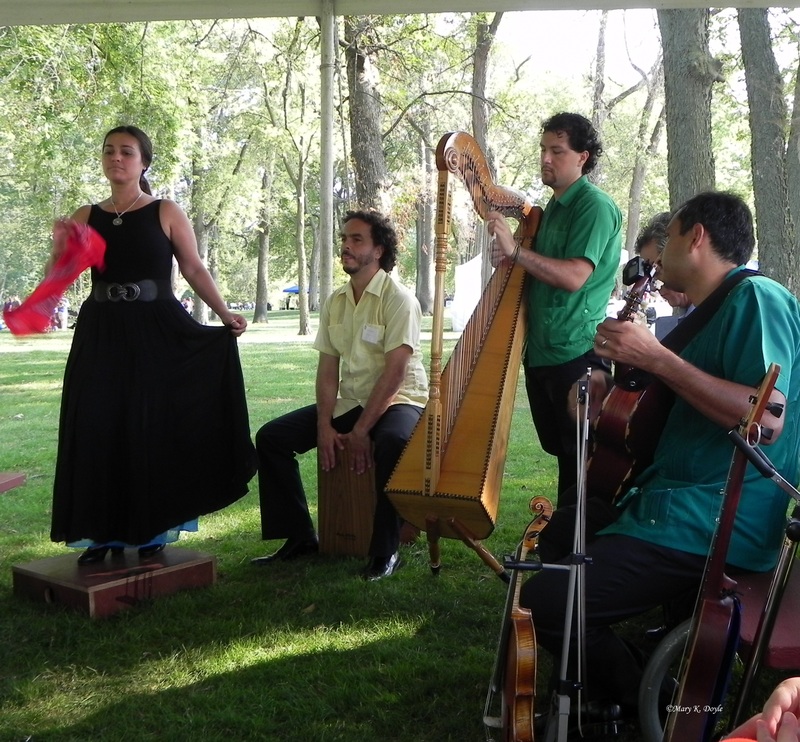 The Fox Valley Folk Music and Storytelling Festival is a funky, relaxing, family event held on Labor Day. Island Park came alive once again this holiday for the 36th year with continuous music, storytelling, and workshops on eight stages as performers from across the country sparked toe-tapping to the beat of drums, dulcimers, guitars, fiddles, and harps. Audience particpation often is encouraged as it was with the performance, Stories for Ninos & Ninas and their Papas and Mamas by Juan Dies and his group. A variety of food booths and vendors selling crafts and CDs also were on hand. Sponsored by the Fox Valley Folklore Society in cooperation with the Geneva Park District, the festival has no paid organizing staff. It runs on thousands of volunteer hours. Donations cover 70% of the actual production expenses and more than 80 businesses sponsor the remainder. Spring Grove used to have the Illinois Storytelling Festival. I don’t think it’s no longer on due to lack of funding. But i allowed SG to make the news every year.